We are experimenting with the MicroMeal™ (mealworm powder) and also the MicroPoop™ (mealworm manure)! Do you want to try them out? Give us your comment(s) or feedback(s) on theses products below. Sustainable and natural Mealworm powder high in protein, vitamins and minerals. Sustainable and natural Mealworm manure high in nitrogen and nutrients for happy plants. Do you like them? 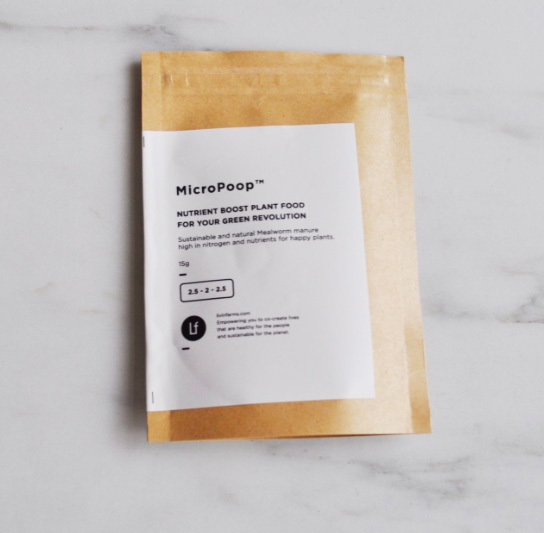 Give us your comments of the products MicroMeal™ and MicroPoop™! Give us your feedback(s) on MicroMeal™/ Ask any questions regarding MicroMeal™! Give us your feedback(s) for MicroPoop™/ Ask any questions regarding MicroPoop™!